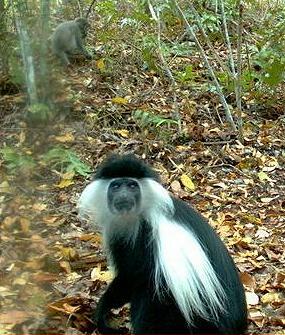 ARLINGTON, Virginia, February 21, 2013 (ENS) – Remote camera traps have captured more than one million photographs of animals and birds in tropical forests on three continents for a global team of conservationists monitoring changes in ecosystems and species diversity. The millionth photograph, of an elusive jaguar, was captured in Peru’s Manu National Park in June 2012. The project has now snapped 1,121,895 images and is still counting. 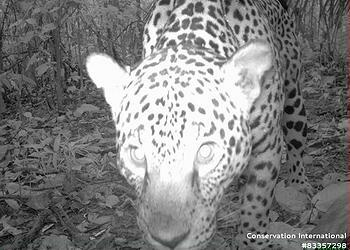 “The one-millionth image is an amazing representation of our camera trap work, and it symbolizes the success we have had with this program in collecting new data,” says ecologist Dr. Jorge Ahumada, technical director with the Tropical Ecology Assessment and Monitoring, TEAM, Network. The TEAM Network is a partnership among Conservation International, Missouri Botanical Garden, Smithsonian Institution and the Wildlife Conservation Society and is implemented through over 80 local partner institutions. “As we celebrate this accomplishment, we are also at a critical point in beginning to provide information to decision makers from the local to global level on how biodiversity is affected by climate change and habitat loss,” said Ahumada, who works at Conservation International based in Arlington. “Conservation is not usually about setting records, but there are times when the scale of an achievement can be measured in the millions,” said Dr. Joshua Ginsberg, senior vice president, Wildlife Conservation Society, one of TEAM’s partner institutions. “One million pictures allow us to develop and test global indicators that are critical to measuring the success of global conservation and informing the global community on the increasingly perilous state of the world’s biodiversity,” Ginsberg said. The images provide real-time information on how animal populations that are usually unseen are affected by changes in climate, habitat and land use that in turn affect the health of tropical forests and flow of goods and services to people. The TEAM Network’s study area covers 16 protected areas in 14 countries. In Latin America, camera traps are operating in Brazil, Costa Rica, Ecuador, Panama, Peru and Suriname. In Asia, the cameras are capturing images in Indonesia, Laos and Malaysia. In Africa, cameras are set up in Cameroon, Congo Brazzaville, Madagascar, Tanzania and Uganda. The TEAM Network has monitored changes in tropical forests for 10 years, using standardized methods to collect data on trees, mammals, the climate, woody vines known as lianas, and birds. He develops the science agenda for the network to understand how the animals captured on camera are doing at one site, and across the protected area, on the continent and all over the world. Working through local partner institutions, TEAM site managers and technicians set the traps. Cameras are placed in a grid throughout the forest and left for 30 days. Each site collects between 10,000 and 30,000 photographs a year. Poachers are the main threat to TEAM Network personnel as well as to the animals they are trying to capture on camera. “The camera traps are difficult to see; they are camouflaged with infra-red flash. Sometimes we get pictures of poachers,” Ahumada said. Once the memory cards are retrieved from the forest traps, workers go through the images on computers and identify them with software developed specifically for this study. But there have been surprises. Ahumada has observed that mammals that feed on many types of foods, called omnivores, are more sensitive to changes in the protected reserve sites than herbivores or carnivores. “That was a little surprising,” he said. Now with a million images, Ahumada and his team are starting to do more in depth analysis. 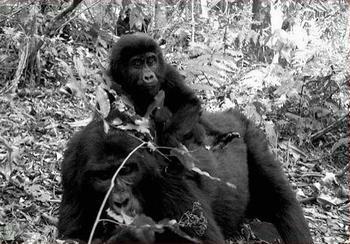 Click here to watch a video about the camera trap research.